WHERE SHERIDAN COMES TO PLAY. Your contributions in support of the Doubleday Sports Complex can be made in the form of a recurring contribution, a one-time gift, or a legacy bequest. Ask Your Mayor and City Council Members to Support Doubleday! Click on the button below to send a message of support for the Doubleday Sports Complex to the Mayor and City Council. Just add your name to the bottom of the message and hit send – it’s that easy! Or, modify the message to express your personal support for the Doubleday. PLEASE NOTE: For recurring donations, you will be required to create a PayPal account if you do not already have one. Members of our Board of Directors and fundraising team will be happy to schedule an appointment to provide you with more information about the Doubleday Sports Complex project and the ways in which you may support this community effort. A bequest is a gift from your estate—a transfer of cash, securities, or other property made through your estate plans. You can make a bequest to the Doubleday Sports Complex by including language in your will or living trust leaving a portion of your estate to the Doubleday Sports Complex, or by designating the Doubleday Sports Complex as a beneficiary of your retirement account or life insurance policy. If you let Doubleday know of your plans, we will be able to thank you now and recognize your contribution. A bequest to the Doubleday Sports Complex can be made for a specific amount, for a percentage of your estate, or for all or a portion of what is left after you have made bequests to your family. To make a gift to the Doubleday Sports Complex from your estate, you must sign a new will or living trust instrument, add a codicil to your present will, or make an amendment to your present trust instrument. Alternatively, you can designate the Doubleday Sports Complex as a beneficiary of a retirement plan or life insurance policy. To do so, contact the retirement plan administrator or life insurance company and complete the appropriate beneficiary designation form. 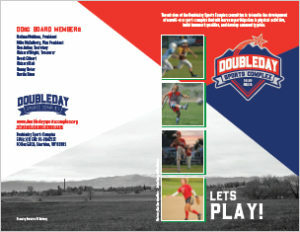 When planning for a bequest, you will need to consider how you would like your gift to be used to benefit the Doubleday Sports Complex —whether unrestricted in purpose or restricted to a specific program or purpose, and whether you would like it to be an expendable fund (to be spent when received) or an endowed fund (to last in perpetuity). An unrestricted bequest allows the Doubleday Sports Complex to determine how to use the funds based on its most pressing needs. Unrestricted bequests are extremely valuable because the Doubleday Sports Complex can use them to flexibly meet its future needs. Expendable funds are used in their entirety, generally within a relatively short time frame. Endowed funds provide income every year in perpetuity to carry out the designated purpose of the fund. When you donate stock, bonds or mutual funds to charity, you’ll generally take a tax deduction for the full fair market value. Check with your broker or investment adviser about your specific circumstances. Photos courtesy of The Sheridan Press.